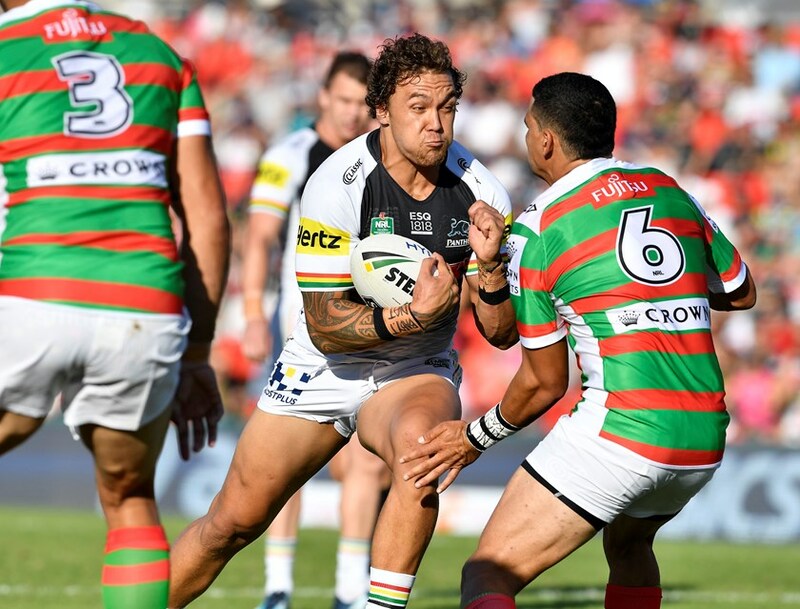 Hard-hitting Penrith forward James Fisher-Harris knows he is doing things right when he doesn't hear from Anthony Griffin. The man they call 'Hook' isn't the kind of coach who overloads his players with instructions, with Fisher-Harris joking that Griffin would only pay him a visit when he's not impressed with something. There was little reason for Griffin to say anything to Fisher-Harris after he peeled off 50 stinging tackles to be a key contributor to last Thursday's 33-14 upset win over the North Queensland Cowboys in Townsville. "He [Griffin] only talks to me now and then. If I'm not doing something right or need to work on anything he will come see me but other than that not much," he said. "So yeah, it's a good thing when he doesn't come and see me because it means I'm doing my job." The 22-year-old spent last year in and out of the first-grade side due to injury but is now starting to find his form early in the Telstra Premiership season, which he puts down to being injury free and with a full pre-season under his belt. "I had a rough year last year so it was important for me to have a good pre-season," he said. "I didn't have a pre-season or play any of the trials last year because I was injured so that was definitely important for me this year. "I'm feeling really good at the moment. I'm taking every game very personally, making sure I'm doing my job and just trying to staying out there as long as I can." Confidence is something the youngster felt held him back last year, but a change of mindset over the off-season and the support of his teammates has removed any doubts in his mind. "I lacked confidence last year but this year I feel 100%, both physically and mentally. I'm not having to worry about any niggles like I was last year," he said. "My mindset has changed, having more self-belief and knowing the boys have my back has definitely given me that confidence. "There's a lot I still want to work on in my game but I know that will come with getting more game time and learning from the boys. "Trent [Merrin], Reagan [Campbell-Gillard] and Peter Wallace, they have all been massive for me. Just talking to me on the field and showing me the way."